We have a friend, Dave Edwards, who, no matter what is going down, will say ‘it’s all good’. It’s become an ingrained part of our travel conversations, especially when you’re faced with a challenging situation, like when you’re on a 7 hour bus ride which is like being in a milkshake container. Dave looks like he’s leftover from the hippie days and is so casual about life that it’s hilarious, nothing seems to throw him off his game. His ever gorgeous wife, Kay is the total opposite – organised down to the wire, tells you how things really are without things always having to be ‘great’ and keeps her hair immaculate! While they’re total opposites in many ways the very thing they do the same is laugh loudly. No matter what happens, they laugh and laugh and laugh. I love it. The Bible says that a merry heart does good like a medicine (Proverbs 17:22). There’s so much negative stuff happening in the world, sometimes all you need to do is laugh. We had one week with Hannah being sick and then the next week it was Lizzies turn. Got to love the bugs flying around in winter. While they were feeling crappy as anything, laying on the couch with a box of tissues next to them, the only thing that lifted them up (besides a cuddle from Mum) was a funny movie. 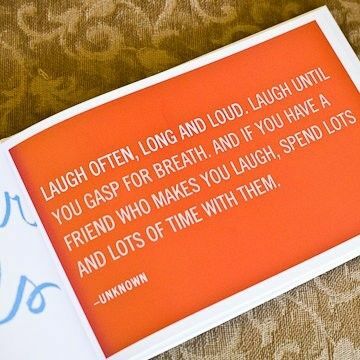 Laughing is not overrated, in fact we should do more of it. Don’t let a day go by without a good belly laugh. I’m making it one of my goals for the rest of the month to not be overwhelmed by everything we have to organise for our trip to Africa. Instead, I’m going to believe that God will provide, find as many moments in life to laugh and enjoy the journey.